Japanese anime is great – it’s filled with enough action, fighting, emotion, and creative stories to make any fantasy lover do a double take. I tend to like long running anime series (like the popular “Naruto”), but with a child now my time is limited, so I prefer shorter series or movies. 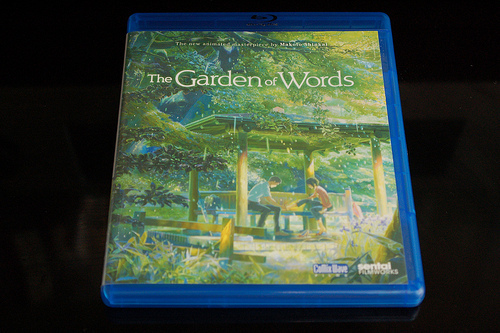 “The Garden of Words” (言の葉の庭）is a work perfect for those with little time on their hands, but looking to enjoy the best anime has to offer. It’s written and produced by Makoto Shinkai, well known for his movie “5 Centimeters Per Second” (among others). His movies are typically short, have beautiful visuals, and focus on romance or other emotionally stories. This movie is no different, with top-class computer graphics supplementing traditional hand-drawn art. Much of the movie showcases breathtaking natural scenes, such as trees waving in the wind or drops of water on a lake. One of the only weak points of the movie, in my opinion, is the somewhat generic character design and the gap between the characters, which are mostly hand-drawn, and the CG backgrounds. The music is also magnificent, with a stylistic solo piano piece reminiscent of a Hisashi Joe melody (he made much of the music for studio Ghibli movies). The story is quite simple (and inline with his other works), but since it takes a backseat to the audio visual components this isn’t a major problem for me. But given the movie is under an hour I think they did a good enough job with the storytelling. The short length is the other movie’s weak points (especially if you you’ve paid around $19 for the Blu-ray), though it fits with the movie’s light, bittersweet motive, so it may not bother you at all. 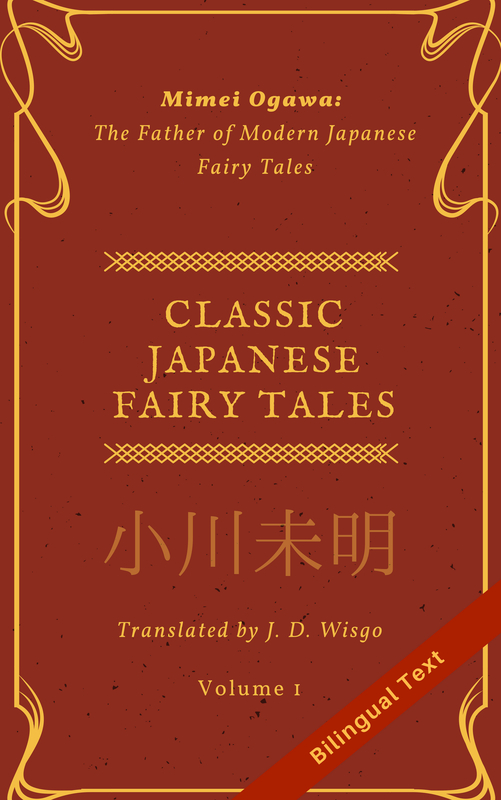 Linguistically, the Japanese is pretty down-to-earth and has some phrases you can likely pick up for your own use. As is generally the case with Anime, the characters enunciate clearly so it’s easier to comprehend what characters are saying, as opposed to live action dramas and movies where it can be hard. There was one or two scenes where it was hard to hear the lines over the sound of rain, so be prepared to turn on subtitles if needed. Overall, if you’re a fan of anime or a artistic mix of CG and hand-drawn art, I’d say this is a must-see. If you low on cash you might want to try and rent it somewhere, or borrow it from a friend since the price is a little high for the length of the feature. Side note: The Japanese title of the movie (言の葉の庭) is a play on words in that it literally means something like “The garden of leaves of speech”, but when you put the two characters for “leaves of speech” together you get the word for “word”, hence the English title “Garden of Words”.